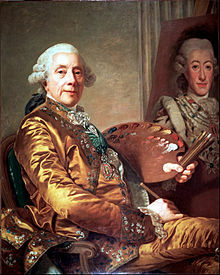 Alexander Roslin (15 July 1718 – 5 July 1793) was a Swedish portrait painting painter who worked in Scania, Bayreuth, Paris, Italy, and St. Petersburg, primarily for members of aristocratic families. He combined insightful psychological portrayal with a skillful representation of fabrics and jewels.In his choice of style and lustrous, shimmering colors Alexander Roslin exemplifies Rococo. He lived in France from 1752 until 1793, a period that spanned most of his career. Rococo artists opted for a more jocular, elegant and ornate style, characterized by lightness, elegance and graceful approach to art and architecture. The painting by Roslin depicting Jeanne Sophie de Vignerot du Plessis, Countess of Egmont Pignatelli, was bought by the Minneapolis Institute of Art in 2006 for US$3 million. Stylistically,Alexander Roslin's oil paintings are Classicist in some respects, but primarily Rococo. The vast majority show members of the European nobility and of leading political and cultural circles. Alexander Roslin was enormously successful among members of French high society, becoming one of the wealthiest artists of the era in France.He painted a number of portraits of Russian Imperial statesmen, including images of Ivan Betskoi and his sister Anastasia Ivanovna, and of Ivan Shuvalov. Roslin also painted some notable portraits of Polish and French aristocratic ladies. He signed his oil paintings Roslin Suédois. As a member of the Académie royale de peinture et de sculpture, he exhibited his oil paintings at the Salon de Paris, the official exhibition of members' work. Founded in 1725 the Salon became, between 1748 and 1890, the greatest biannual art event in the Western world.From 1753 Roslin exhibited 18 times at the Salon. 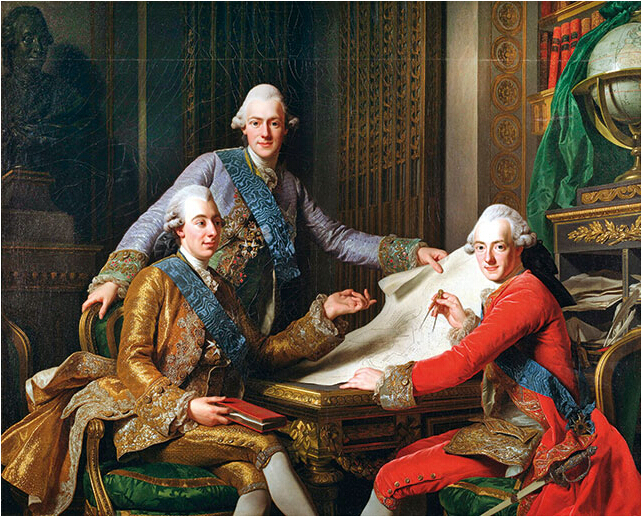 Tags: Alexander Roslin's 1711 Portrait of Swedish King Gustav III and his Brothers, Alexander Roslin Oil Paintings.